A few years ago, while scrolling through my Facebook newsfeed, I came across photos of a mother holding her newborn baby. With tears in her eyes, she gazed lovingly at the tiny babe that had just been brought into the world. Bundled gently in a white hospital blanket, he was small and beautiful. And although he appeared to be asleep, this little fellow would never wake up. To be completely honest, this picture confused me. I was genuinely grieved over the loss of this mother’s baby but more than anything else, I was weirded out. I found it strange that they’d posted a photo of their deceased infant and odder still that the mother’s arms were wrapped so tightly around him. I couldn’t imagine wanting to hold someone who was dead, even if they were your child. You never anticipate having to actually answer this question. As the picture disappeared into my ever updating newsfeed, so did my train of thought. I never asked it again. Even years later, during pregnancy, the word “stillbirth” never crossed my mind. No one ever mentioned it. These are not the questions that we like to think about. Because as your womb tingles with the growth of new life, your attention is naturally focused elsewhere. Nine months are spent busily researching and weighing every possible option regarding genetic testing, home births, circumcision, and vaccinations. Pregnancy books are purchased, apps are downloaded and birthing plans completed. But when your child is stillborn, you suddenly realize that you don’t have answers to the questions being asked. Yes, you’ve spent the past three trimesters listening to a never ending parade of gory labour stories. Women in the mall spot your ballooning belly and stop to tell you about three day labours, engorged breasts, and colicky babies. You’ve begun to mentally prepare yourself for the forewarned pain and discomfort, third degree tears, husbands who need laughing gas, and epidurals that don’t work. But suddenly you’re facing an entirely different sort of pain. Your child is stillborn and you’re walking blindly. You’re confronted with a multitude of questions and details that no one told you about. No one tells you that your first night will be spent lying on an uncomfortable hospital bed, silently screaming for your baby. No one warns you that every detail of the birth will loop endlessly around your brain – you cannot shut it off long enough to fall asleep. No one mentions the little teardrop that hangs on your hospital door – the first sign that something is amiss. There was no warning about thin, hospital walls that echo the midnight cries of newborn babies in the ward around you. There is a hungry baby who will wake you up every hour but that baby is not yours. No one tells you that despite emotional, mental and physical exhaustion, you will still require sleeping pills. There is no preparation for the wave of jealousy that erupts as you watch a father pace the maternity ward with a small infant snuggled against his shoulder. You’ve been warned about recovery time from c-sections, but no one said that you would barely feel the stitches in your abdomen because the pain in your heart cuts a thousand times deeper. No one warns you that you will have to make choices about autopsies and funeral homes, cremation, burials, or memorials. That the money you were saving for extra baby onesies and diapers will be spent on purchasing a plot of earth and a grave marker. Everyone prepares you for the post-pregnancy weight loss struggle, but no one tells you what to do when you’re so numb you forget to eat. No one mentions that the saleswoman will cry alongside you as you’re forced to return a double stroller and matching carseats. No one whispers that you’ll have to find somewhere to store the crib that your husband so faithfully set up just a week prior. No one ever tells you that you may leave the hospital empty handed. But truthfully, even if someone had warned you about this side of childbirth – it wouldn’t have mattered. There will never be adequate preparation for moments like this. And so you take each day one step at a time, decision by decision. And I think back to the picture of a mother holding her stillborn son. I am now that woman. Lying in a hospital bed, I am desperate to see my son. I wish for nothing more than to hold him and never let go; it is not strange, it’s love. Because no one tells you that your baby will be beautiful. No one says that despite his stillness, despite the trauma he’s been through – he will be beyond precious. No one tells you just how deeply you will love him; that although his body is but a shell, you will hold his hand and whisper a lullaby in his ear. No one says that a mother’s heart can be both broken and bursting with pride at the same time. Let’s start talking about the difficult topics too: sharing our hearts and our loves gone-too-soon. What do you wish you’d known about stillbirth? What a brave woman you are and so eloquently written. My deepest sympathies to you and your family. Thank you! I really appreciate such encouragement and sympathy. Liz, This is so moving. You have taken us right to your heart and that is a beautiful place. Thank you for sharing. I will be saving this for future reference for the women that I hope to serve. Beautiful and accurate. So sorry for your loss. Your son is beautiful! Going through this right now. I just lost my son, December 16. 39 weeks , his cord was knotted. Im just in so much pain. Oh April, my heart hurts to hear of you going through this pain. There is nothing anyone can say to ease the heartache of such traumatic loss. No mama should ever have to bury her baby – but know that even though he is not in your arms, no one can take him away from you. You will always carry him in your heart, he will always be your baby, and you, his mom. If you ever need someone to talk with (or rant at), please feel free to message me. You can find me on Facebook as “MommyMannegren” and inbox message me from there. This is so heartbreakingly beautiful and describes exactly how it is. Thankyou for this. Thank you so much for sharing your story. I cried with every word. My mother’s firstborn was stillborn two years before I was born. I remember finding photos of him in a little box under my mother’s bed when I was a little girl. I have always grieved his loss and absence in my life even though I would never meet him. We named our firstborn’s (also a son) middle name after him and although she never spoke about it I truly believe that this was healing for my mother. With each pregnancy I’ve always found myself preparing for a stillbirth because it is so real to me. I hope you’ve found healing in the time since you lost your beautiful little one. Bless you. Our daughter, Phoebe Madalyn, was stillborn on March 24, 2017. I was blindsided-nothing prepared me for that kind of pain. Especially since she was our 5th child. Unless you’ve gone through it, nothing can prepare you for the sorrow, guilt, pain, depression, and pure tearing of your heart that you feel. I can relate to everything you said. That said, nothing will ever diminish our love for her and how much we miss her. Life goes on, unfortunately, but her memory does too and for that I am thankful. Our children are each blessings, no matter if they are alive or in heaven. Thank you for writing this. Our son Turner passed away March 24, 2017 when I was 38 weeks pregnant. He was also our 5th child and his passing was so unexpected as he compressed on his cord. He was born the next day on March 25th. I’m so sorry for your loss. It is a pain and heartache like no other. I miss him terribly everyday and always will. Our children deeply miss their baby brother too. Desiree-Thank you so much for letting me know. What an amazing God we serve that He would bring us together miles apart through our pain. Things are getting better-we have been blessed to enjoy 1 more baby since Phoebe died. I love taking her to visit her big sister’s grave and tell her all about what she’s missing out on. I pray that your pain is easing as well. Sometimes I am still blind sided by the pain of missing her so I have to focus on the blessing that she never experienced this pain and is happy in heaven. Thank you for this post. You perfectly expressed the feelings I had (and continue to have) when our son was stillborn last year. I feel like you reached into my heart and pulled out this post. Thank you!! I lost a baby girl ,in 1970 , empty arms ,going home . And such a heavy heart . You never forget the little one that did not come home with you . He’s beautiful!! That mms for sharing to help others. 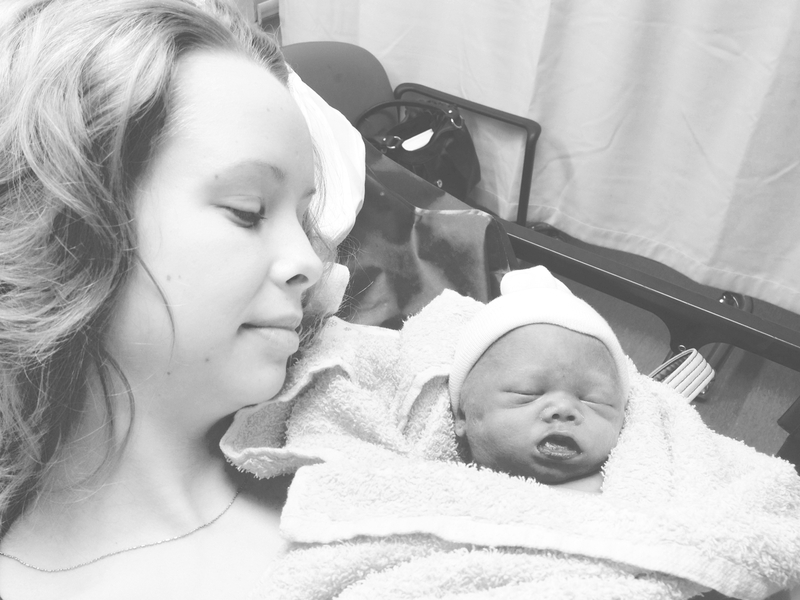 Thank you for sharing your story, I’ve been where you were, my son was stillborn at 26 weeks. I especially like what you said about a mother’s heart that’s broken but bursting with pride at the same time. It’s so true, it was my experience, too. Thank you Tyra. ❤ So much love sent your way. This story is an amazing true story that has hit home to me, every word that you have said took me back to the year I went thru the loss of my lil boy, the way you have described it was how I was feeling and I was feeing all alone at that time, so sad to hear the other babies cry damn that is the most hardest thing to go thru.. Thank you Kristy, I’m so sorry for your loss. ❤ I think that sharing our stories is so important in order to not only process our own grief, but also to support other families and raise awareness about a topic not frequently discussed — and so it is always so encouraging to me to hear back from other loss mamas who have gone through a similar experience. Thank you for sharing a little bit of your own story and for taking the time to encourage me in mine. Much love sent your way. Thank you for your story, your son is so beautiful. I am so sorry for your loss. My sister lost her first son 2 years ago, I was there and my heart still breaks every day. How will she get over it when I can’t? Why do people not talk about this? I have 2 children and 4 grandchildren & didn’t realize how common stillbirth was. There needs to be more support systems for you available. He is so perfectly beautiful!!!! Your words are so on point! Takes me back 30 years ago…I had never heard of stillborn until those words were spoken to me. I was lucky enough to have a caring dr (i was his first patient to lose a child) that moved me off that floor So I didn’t have to hear that. It’s not something any of us will ever get over. The pain does get better but I still think about Elisa and where she’d be in life…career, married, grandkids??? Hugs to you and the best advise I can give, do whatever you feel like…grieve how you want, talk about him as much or little as you want, put his picture up of makes you feel better! I know this pain. My 3rd daughter, Rebecca Faith, was stillborn in May of 1981. That was some years ago, but sometimes I still feel sad. My mother, husband and I all held her, and then we gave her back to God. I’ve suffered many losses over the years, but there has never been a heartache to compare with the loss of my sweet baby girl, even when her daddy was killed in a car accident just 2 years later. I know where they are, and I know they’re waiting for me .. I will see them again, and Rebecca will be more alive than she could ever have been here! This is my comfort .. this is my hope, as I continue to live and love here. This touched my heart. It said things I cant. I wish I would have had someone tell me that even though I was scared and my husband who had seen her body tell me I shouldn’t i would have had been brave enough to picture her toes. I have feet prints and no pictures. I wish i could hold her and ever let go even though shes not here. For 30 weeks i never considered planning for the worst. And within a second my heart shattered and i had to do all of it.